BBC3 Axed, Argos Tweets ‘Badman’, Phone-to-Phone Payments, Tuition Fees Up? Argos customer service got all 'street' this week in response to a tweet from Immy 'Badman' Bugti who enquired about PS4 stock in their Moss Side store. He bundled it along with a complaint about the staff. 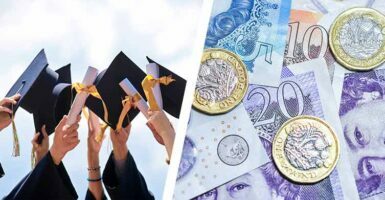 During a debate with the President of the NUS, the vice chancellor of the University of Exeter warned that tuition fees may have to rise above the current £9,000 per year cap. The students who witnessed the debate were overwhelmingly in favour of capping tuition fees before it but Sir Steve Smith, the VC, managed to talk the audience round into voting against the motion 'This House Believes Tuition Fees Should Not Increase'. Our take: That must have been a really convincing argument, and it's fascinating that the opinions of the students watching the debate could have their minds changed so quickly. The discussion also covered vice chancellor pay (Sir Smith earns £300,000 per year, but claims to have turned down a pay rise in 3 of the last 5 years) and whether income tax should be used to subsidise tuition fees. Following on from last week's STEM rankings, the Times Higher World Reputation Rankings published this week have revealed that UK universities are falling behind in the international standings to US institutions such as Stanford and Harvard. The study has found that the number of UK universities considered the world's best has dropped considerably, while the US dominates the list. Our take: While this seems like bad news, we still have the second highest number of universities on the list although ours are generally ranked lower than they were two years ago. And it's not looking great for those outside of Oxbridge or London, with Sheffield, Leeds and Bristol all leaving the list between 2012 and 2014. A new system from the banking industry designed to make payments via smartphone will be launched later this year. Named Paym (annoyingly pronounced "Pay Em"), this system will make it easy to transfer money between accounts via mobile phone apps, without the need for sort codes or account numbers. New FCA regulations on crowdfunding have drawn criticism from entrepreneurs, claiming that they 'take the crowd out of crowdfunding'. 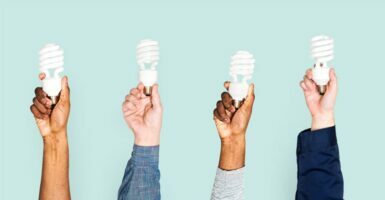 Websites like Kickstarter or Indiegogo have become increasingly popular in the past few years, by giving people the power to invest in projects or business ideas they are interested or believe in. But the new rules, according to the firms who run these websites, threaten to push ordinary customers out of contention. Our take: We'd usually decry this sort of thing for being old or out of touch, but the FCA is actually a newer organisation than the concept of online crowdfunding. It should be ready to deal with democratised investing, not shutting it down with draconian rules. So the big media news this week is the 'axing' of BBC3. A channel, which let's be honest, has put out considerably more rubbish than it has quality material. It has mostly failed to connect with (or, perhaps more accurately, enough of) its young audience and so BBC management have decided to move it from Freeview to the online only iPlayer graveyard. Some have risen to the defence of the channel, citing it as a breaking ground for new comedy. But it should probably be noted that those doing so are often the ones who have benefited the most from it. I'm looking at you the Russell's, Jack Whitehall et al. With these (questionable) stand up credentials aside, how many great shows did BBC3 actually produce? The first series of Little Britain was, admittedly, a slice of comic genius but had already been well tried and tested on radio. As had The Mighty Boosh and that, like Lucas/Walliams vehicle, only had enough steam for two decent series. The other big example that people have brought up was Gavin and Stacy. Which I don't feel quite qualified to talk about, having never seen an episode and mainly looked puzzled/annoyed when everyone started saying “what's occurin'” circa 2007/08. Him & Her as well as Bluestone 42 were both quite good, but neither were so wild or challenging that they couldn't have found an audience on BBC2. The main problem with BBC3, where it should have been a testing ground for new and exciting ideas, its was so often just lazy, hackneyed or cynical. It couldn't match Channel 4 for its documentaries that younger viewers relate to, and it certainly couldn't be any trashier than ITV2 (let's face it though, nothing can). Instead we got a shallow mess of a channel, that will at best will be remembered for its s late night repeats of Family and American Dad. Let us know how you feel about BBC3 in the comments below.